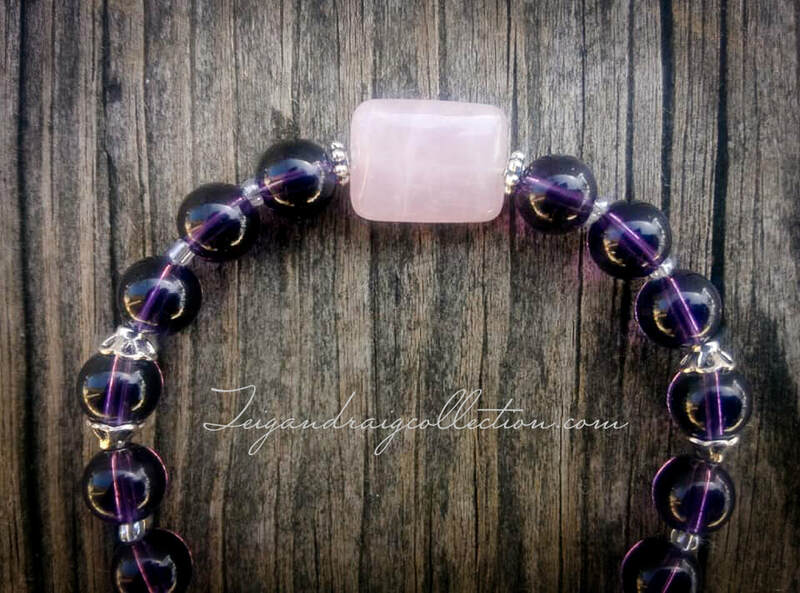 Beautiful dark amethyst and rose quartz bracelet. 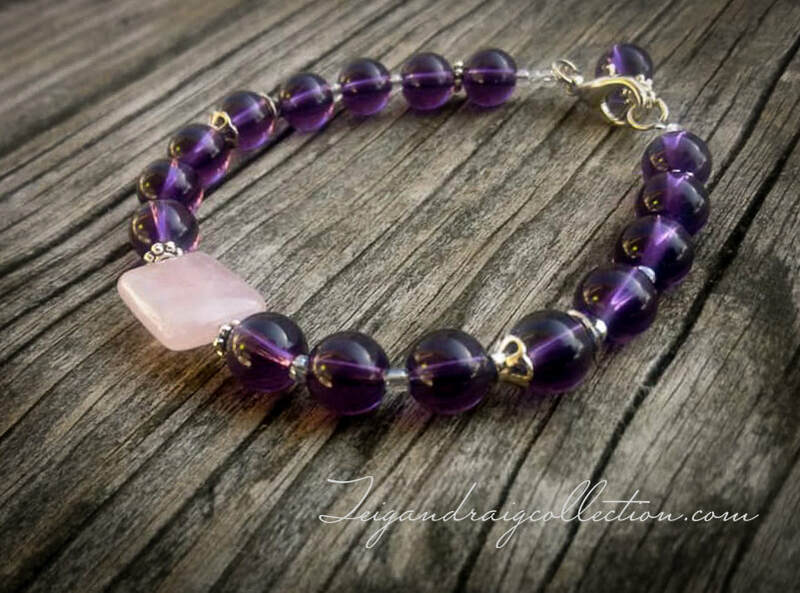 Amethyst and rose quartz is wonderful when paired together to draw love, stability in relationships, peace, protection, and healing. 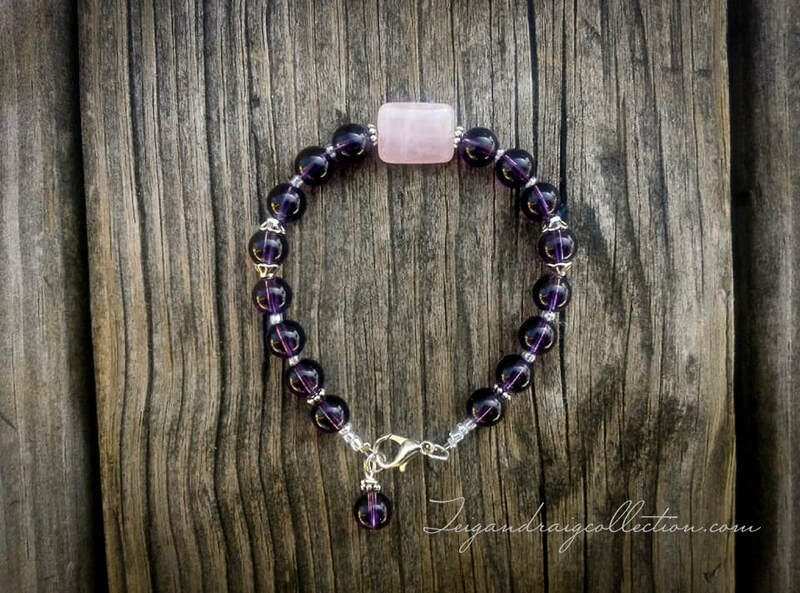 Rose quartz opens the Heart Chakra allowing true love to emanate. 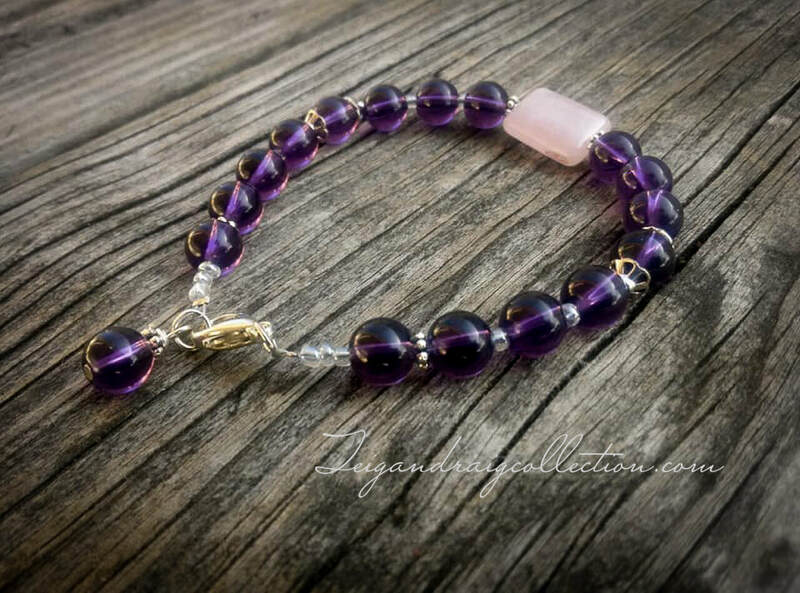 Amethyst opens the Crown Chakra allowing greater Divine connection and communication with the Higher Self. Bracelet is 7 inches long, expandable to 8 inches. This bracelet is available in multiples made to order as shown.